If you feel it’s time to step out of the ordinary and into the extraordinary, then perhaps you need to take a break. In this case, head over to SHAWARMA BREAK and dive into their menu. The taste buds start tingling when you see the sign outside the door and the smell of fresh ingredients will do the rest when you enter the restaurant. Shawarma is a Levantine Arab meat preparation, where lamb, chicken, turkey, beef, veal, or mixed meats are placed on a spit (commonly a vertical spit in restaurants) and may be grilled for as long as a day. Part of the JUST EAT program, you can have your meal conveniently delivered too. Drop by catch the crew action 653 Corydon Ave or on at www.ShawarmaBreak.com as well as on Instagram @shawarmabreak to see what you’ve been missing. From travelling the world to accessories for your office, U.N. Luggage should be part of your ongoing checklist of essentials. Branded as Canada’s favorite online luggage and bag store, the recent updating to their building exterior was a transformation that included a tastefully designed LED cabinet by Electra Sign. Working with the long-time owner of this family run business, it was important to have a sign that would engage the customer while showcasing the success and longevity of the company. 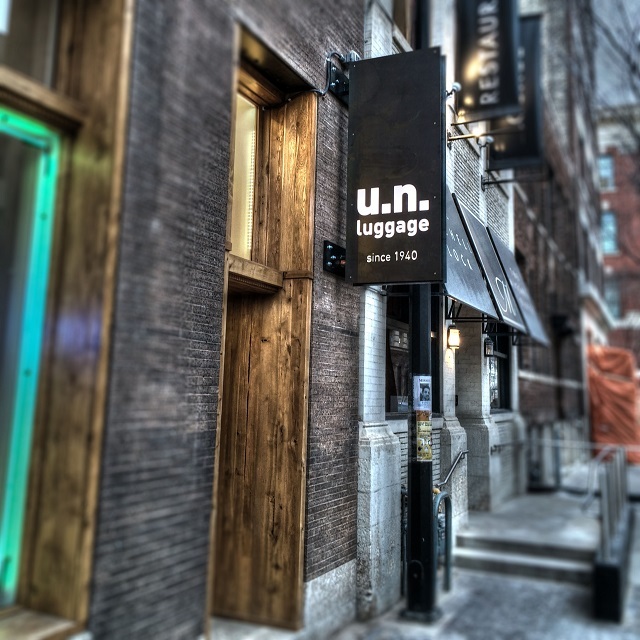 U.N. Luggage caters to all levels of those looking to travel near or far. Their services not only include finding you the right gear, but has the knowledge and experience to service that piece of luggage you just don’t want to let go of. Drop by and visit them today and make your next trip – Amazing!